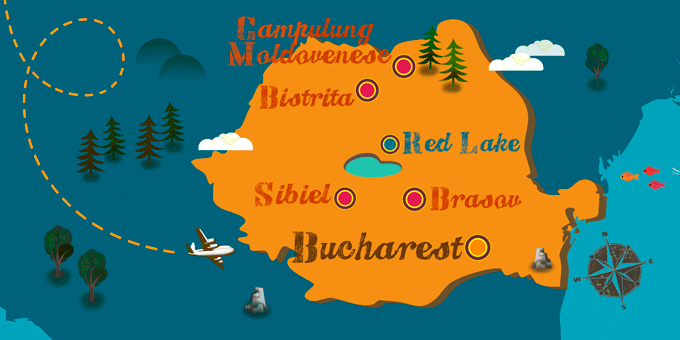 As a country located in the Balkans, the gastronomy of Romania has great influences from its neighboring Balkan countries. It is a mainly pastoral cuisine, although due to its proximity to the Mediterranean it has acquired products and forms of production more deeply rooted in the south. This is the case for the popular mămăligă, a bread which accompanies many dishes and that has similarities with the polenta bread of Italy. Romanian cuisine has many varied products of the highest quality, although the most abundant ingredient is usually meat. Soups are also another Bucuresti facet of Romanian cuisine. Elaborated in a thousand ways they are center consumed during the colder months of winter.